The Strongest Muscle Builder for Natural Athletes! Bigger, harder, leaner, more muscular, better energy, higher testosterone, less stress and anxiety, quicker recovery! Finally, a nutritional supplement, backed by science, that delivers the physique results you’ve been looking for! How quickly can I expect results from Magnum HARD MUSCLE BUILDER™? Reported results include strength, endurance, and recovery increases from the very first dose. Lean muscular gains, by their very nature, take longer, but users generally notice some lean gains within the first month of use. What results can I expect from taking Magnum HARD MUSCLE BUILDER™? Users routinely report an increased number of completed reps with weights than they normally train with. Users also report better recovery post training, strength gains, and more lean muscle. Each user will experience their own results, but all users report better results when pushing their limits to the edge while training. Hard Muscle Builder™ works best when you go harder than you normally would! Will I get anxiety and/or jitters from Magnum HARD MUSCLE BUILDER™? No. Magnum Hard Muscle Builder™ contains no stimulants of any kind. This makes it perfect for high intensity late-night training sessions or for stacking with Magnum PRE-FO®, our delicious, high-stimulant pre-workout! What is the optimal way to take Magnum HARD MUSCLE BUILDER™? We recommend that you take 1 capsule in the morning, 1 capsule prior to training, and 1 capsule immediately after working out. 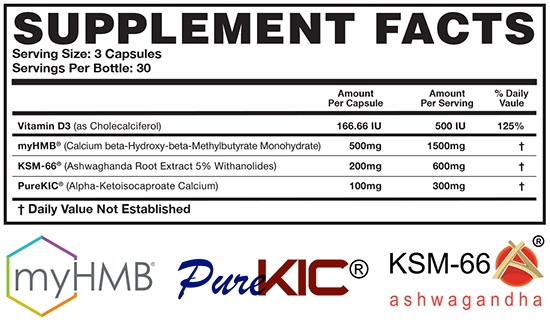 On non-training days take 3 capsules spread throughout the day. Combining with pre-workouts like PRE-FO®, or other supplements before you train is acceptable, as these will not slow down the absorption of Hard Muscle Builder™. 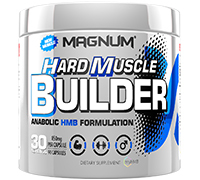 Are there any products you recommend to take with Magnum HARD MUSCLE BUILDER™?